Maven and Jenkins are two of the most popular tools in the Java world. Maven helps to organize your project and provide support to build and deploy Java projects while Jenkins can provide continuous integration and delivery by completely automating build and deploy projects. As a Java developer, it's very important that you know both Maven and Jenkins because every other company is using it and not knowing these technologies will only put you behind other candidates if you go for a job. If you have yet to learn Maven and Jenkins then you have come to the right place, In this article, I will tell you 6 free course you can take to learn Maven and Jenkins online, but before that, let's understand what is Maven and Jenkins and what are their purpose. 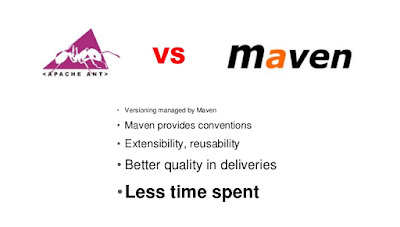 Maven is based upon convention over configuration principle. It provides the plugins to build, test, and deploy your project but the most important benefit of Maven is dependency management. It not only provides a Maven central library to organize all third-party Java JAR files but also downloads the dependency for any Java project automatically at the build time. Which means you don't need to manually download your JAR files and deal with several errors related to version mismatch e.g. UnsupportedClassVersionError. For example, if your project is dependent on Spring 5 then it will not only download the Spring 5 JAR files from maven central library but also all dependent JARs required by Spring itself. This is known as transitive dependency management. 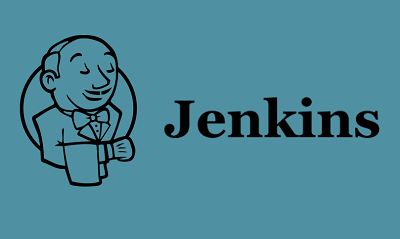 Jenkins is one of the most popular tools for doing continuous integration on ANY platform or technology but it has become a standard in Java world. One of the things which makes Jenkins so popular and useful is its flexibility. It can handle just about any kind of build or continuous integration process you can think of through the hundreds of plugins that are available. Here is my collection of some of the best courses to learn Maven and Jenkins online for free. These courses are good to learn both theory and practical experience, particularly with Maven. If you are an experienced Java developer then a good understanding of both Maven and Jenkins is must for you. This is an excellent Maven Introductory course for Java developers. You will learn what is Maven and what benefits it offers, how to install and download dependencies using maven, how to build and deploy projects using Maven and several other basic tasks. During the course, you will also get familiar with Git source control, which is another good tool for Java programmers. In short, a very good course on Maven for Java developers but even DevOps Engineers, and IT managers an also join this course to get a complete overview of Maven. This is another great course by John Sonmez, my another favorite instructor on Pluarlsight. In this course, you will learn how to set up the continuous integration tool, Jenkins and how to use Jenkins to automate much of the build and deployment process. Along the way, I'll give you some great tips that will help you pick the best plugins for Jenkins and give you some good strategies for successfully bringing you build system into Jenkins with a little headache. If you've been wanting to learn about Jenkins but didn't know where to start, this course might be just what you need. This course is an introduction to Jenkins from the beginner's perspective. So you do not need to have any knowledge about Jenkins before. You will learn end to end Integration of Selenium, Maven, Git, and Jenkins. This is a good course for all people who want to learn about not only Jenkins but about continuous integration and continuous delivery, and DevOps in general. I am a big fan of Bryan Hansen, having attended his Spring Fundamentals and Introduction to Spring MVC course in past, I was excited when I found about Maven Fundamentals course. This course covers all of the basic fundamentals of Maven e.g. dependencies, plugins, repositories, IDE integrations, and all the basic commands of Maven. A good place to start with for any Java programmer learning Maven. 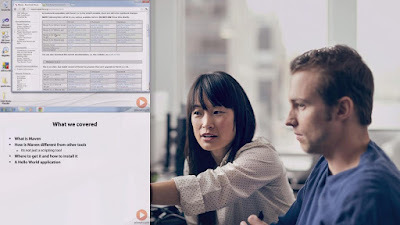 Btw, this course is not exactly free as you need Pluralsight monthly or annual membership to access this course but it also provides a 10-day free trial, which is enough to finish this course for free. This is one of the best course on Jenkins 2.0 which is available for free of cost. You will learn how to configure Jenkins 2.0 with freestyle and pipeline projects. You will also learn to work with both Java and .NET project along with Docker and Cross-browser testing. The course is also not just good for developers or testers, but also very useful for DevOps and Business Analyst. If you have heard all the buzz around Jenkins and configuration management and deployment and are wondering what they are and how to get started using them, then this course is for you. Once you have completed the course, you will be well on your way to implementing Jenkins for configuration management and deployment in your environment! That's all about some of the Free Maven and Jenkin courses to learn online. Java Developers can use these courses to get a basic understanding both Maven and Jenkins and understand how they can be used in their Java project to simplify and automate build, deploy, development and testing process. Thanks for reading this tutorial so far. If you like these free Maven and Jenkins courses then please share with your friends and colleagues. If you have any question or feedback then please drop a comment. Like your info, but your proof reading could use a bit of touch up. "As a Java developer, it's very important that you know Maven and Jenkins because every other company is using it and now knowing this will only put you behind other candidates if you go for a job." See anything wrong with this quote from the very first paragraph on this page? True "not" knowing these might put you behind, but typoing your way through a job report isn't going to put you ahead either. Just saying. Thanks, I put the blame on my spell checker :-) Corrected it now, but yes, you are right.